Since the advent of home broadband, smartphones and other internet enabled devices, there has seen a shift in how we communicate with each other. The internet has certainly made many aspects of life easier, but for those with a disability, digital exclusion is still a real problem. Currently there are about two million people living with sight loss in the UK. Although visually-impaired consumers are less likely than non-disabled consumers to have access to the internet and digital devices, the gap is narrowing. 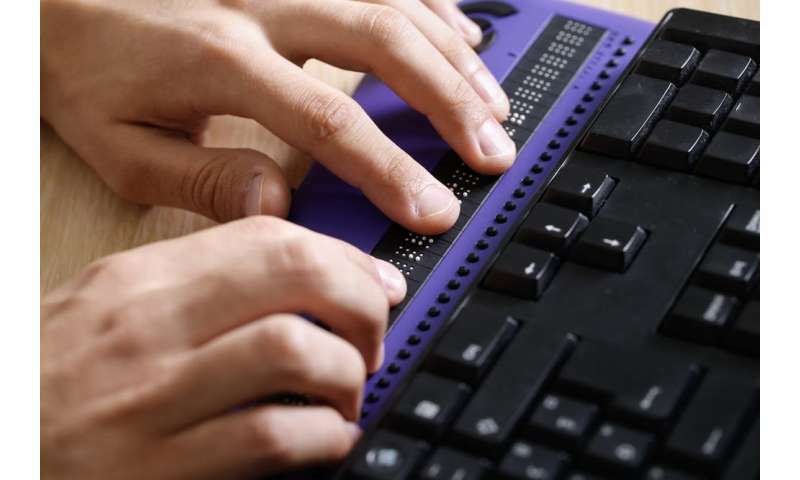 In 2012, 65% of visually-impaired consumers had access to a computer, compared to 79% of non-disabled consumers. By 2016 this had increased to 78% and 84% respectively. Yet despite these positive changes, digital exclusion among disabled people is far from resolved. 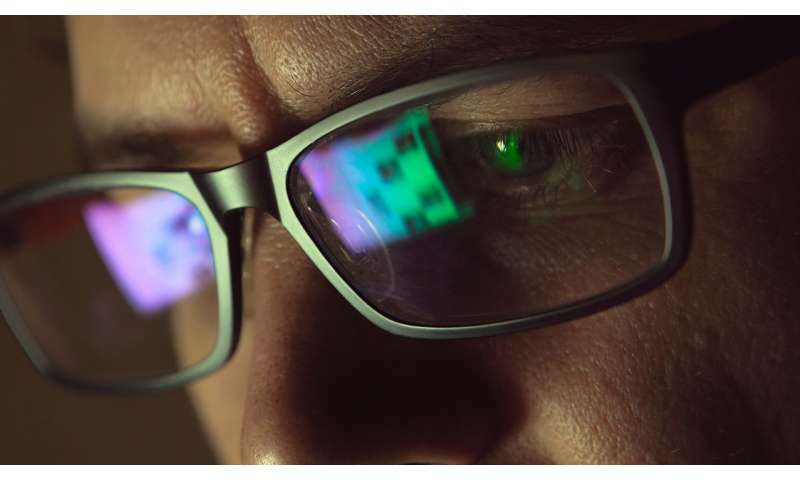 For our newly published research, we have been looking into the challenges faced by members of the Royal National Institute of Blind People Cymru (RNIB) in fully embracing digital technologies. As part of our research, 396 RNIB members completed a questionnaire via email, post or telephone, telling us about their use of and opinions on digital technology. More than half of all the survey participants (roughly 52%) are partially sight impaired, while 40% have sight and hearing dual impairments. We found that there was no shortage of motivation in using digital technology from this group of sensory impaired users. 77% believe that digital technology brings them closer to friends and family. And more than half of the respondents believe that digital technology facilitates more independent living. In addition, 42% regard digital technology as giving them the chance to know what is happening in their community. Just under one third think digital technology improves general well-being, too, and makes them more capable at choosing the most suitable and convenient media to communicate with others (29%). Other benefits of digital technology are the belief that it gives more education opportunities (20%), assists with money management (23%), and improves the ability to travel (24%). But the level of interest in digital technology has not been matched with digital usage. Sensory impaired users' digital device ownership is generally low, and their online activities are limited compared to the national average. Personal computers connected to the internet are owned by just 38% of the respondents and smart phones are used by 23% – compared to 88% of UK adults who have internet access at home, and 76% a smartphone. Only one third of those surveyed regularly use search engines and email. In terms of carrying out tasks online, 33% of the respondents can find a website that has been used previously, and can shop online. But fewer than 20% of the respondents have downloaded or saved a file found online, chatted using video messaging tools, or bought and installed applications or software via the internet. In addition, just 14% have accessed public services online, while 11% have used the internet to book appointments. So what is stopping sight impaired people from engaging more with these technologies? Those we spoke to identified a number of challenges, mainly in the areas of finance, training and accessibility. Most sensory impaired users are unemployed and find current assistive technology too costly. Specialist software often costs hundreds of pounds, which is beyond the reach of most disabled users. Charities like RNIB are promoting the use of free accessibility software, but these applications only offer a basic service. Accessing more advanced features often involves buying from commercial organisations or paying a monthly fee. Looking to accessibility, in the UK, websites, web applications, software, cloud based services and more, must meet the requirements of British Standard 8878 to satisfy the Equality Act 2010. But users need to have a sufficient level of digital literacy to utilise them. Training must become a priority, and people need to be made more aware of customisation and interactive services – such as modifying the font size or page colours – that can help them use the service. Our survey also highlighted that simple changes to hardware could also be beneficial. Things like ensuring websites are compatible with high contrast screen readers, or that more options are given on keyboard colour screens could make the world of difference. The results have also led us to recommend that a new technology design agenda is put forward for both public and private industries. At present, companies tend to focus on the most active users who usually have stronger purchasing power, and a higher level of digital literacy. Sensory impaired users are often overlooked in this market-driven and technology-oriented approach. We believe that design should be tailored to the needs of users, rather than focusing solely on aesthetics. The limits of disabilities are determined by environmental barriers in society, so if we want to help sight impaired users engage with the world around them, digital care is vital.